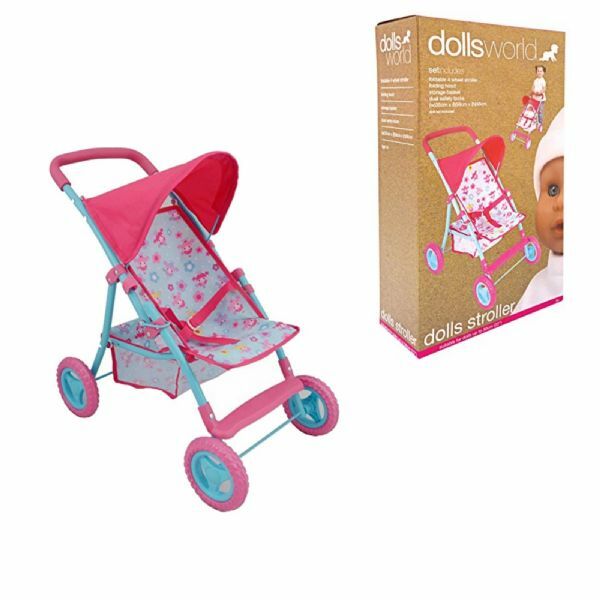 Deluxe four wheel Deluxe folding stroller with canopy, basket and foot rest. Deluxe four wheel Deluxe folding stroller with canopy, basket and foot rest. 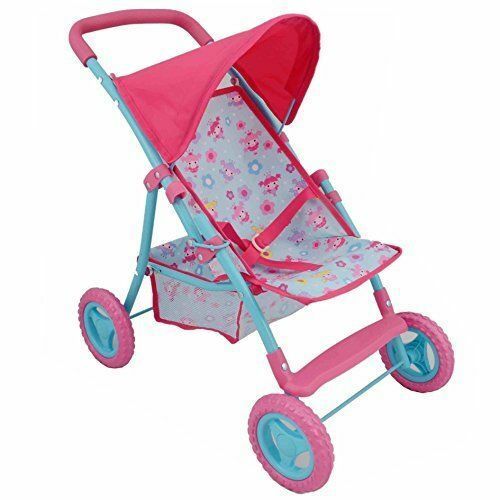 Pink & blue design on fabric with coloured handles and wheels. 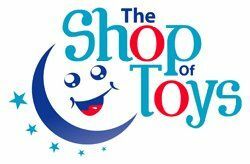 A great accessory for all dolls for dolls up to 56cm in size.